Kicking off our first Meet the Stockist post is the wonderful Barbara from Coo’s Tail Gallery in Thurso! Hey Barbara, for those who are not familiar with your lovely shop – how would you describe Coo’s Tail Gallery? 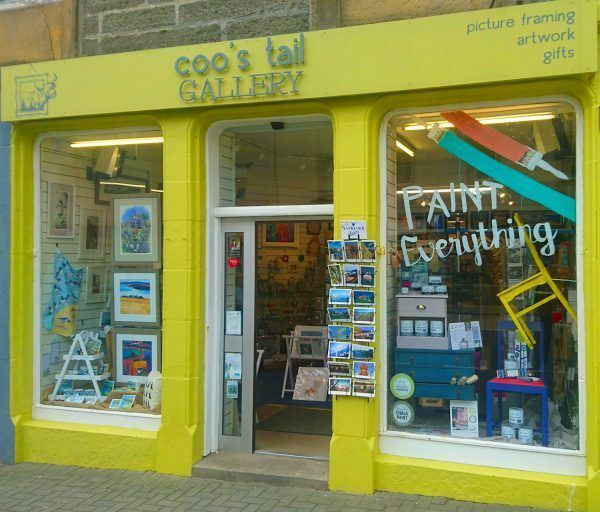 Coo’s Tail Gallery is an independent gift shop and gallery in Thurso, in the far North of Scotland. We focus mainly on Scottish contemporary artists and designers and offer a Fine Art Trade Guild commended picture framing service. 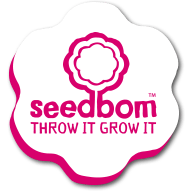 We love working with local (and some not-so-local) artists, designers, makers and small businesses to find quality pieces that you won’t find everywhere else. We also are a stockist for Annie Sloan Chalk Paint and offer regular paint technique workshops! Woohoo, Scotland represent! If you had to choose just one of your favourite things about Coo’s Tail – what would it be? I guess my favourite thing is that no two days are the same. We get to meet a variety of folk in the shop, from the tourist buying a postcard to art collector getting bespoke framing done, you never know who will come through the door! I’m delighted that most of our pieces in the shop are Scottish designed and made, I love working with other small businesses, artists and makers to promote and get their work out there. It’s great seeing customers react to and connect with artwork or products, it’s always my aim to try to be a wee bit different and stock quality pieces that you won’t find everywhere else. Instant customer feedback is definitely a great tool to have. If someone was making a day trip to visit Coo’s Tail – could you recommend any of your favourite indies in Thurso? We would definitely recommend a trip to Caithness Horizons Art Gallery and Museum, where you can easily spend hours finding out about Caithness through history, everything from Picts and Vikings to nuclear power, as well as checking out the art exhibitions and grabbing a coffee and cake in their cafe. We would also tell you to visit Lindsey Gallagher in her studio, where you can see how she makes her fab silver and Caithness stone jewellery, or even take a jewellery workshop to make your own! For a hearty lunch or dinner, we love the Y-Not, they have a fab menu and cater for special dietary requirements too. J A Mackays is a great speciality food and drink store, you can treat yourself to a special bottle of something and some yummy Caithness produce to take home with you. One of the things we love about Thurso is that most of the shops in town are independently owned and run, so if you are looking for something different, you really are spoiled for choice! That’s definitely some solid travel advice there! Thanks so much for taking part.